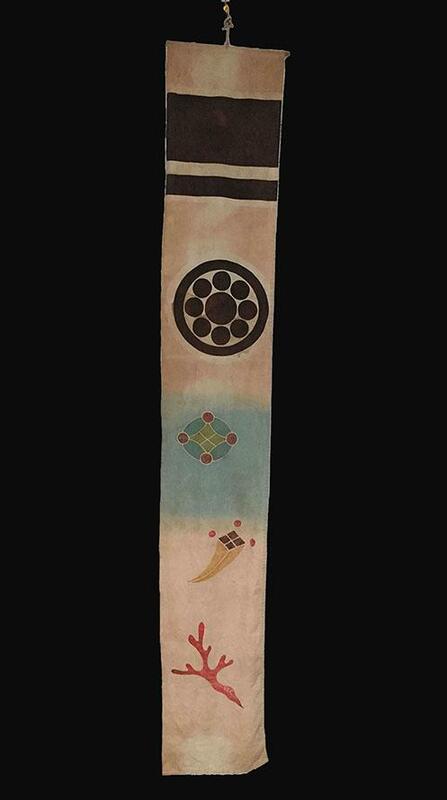 Fine Antique Japanese Solid Iron Samurai Tessen (Battle Fan) /Weapon - Late Edo/Meiji Period - Made in the form of a closed folding fan, moulded in relief on one side with tigers and the reverse with a scaly dragon in relief; wrapped at the base with silk, ending with elaborate red double silk tassels; the iron nicely patinated. 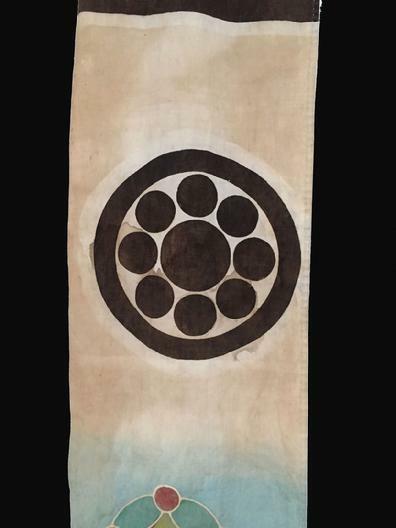 Tessen were favored by Samurai, and used in places where they were not allowed to bring a sword, ensuring that they were always armed. Condition: Excellent, as would be commensurate the age and use. The photos speak for themselves. 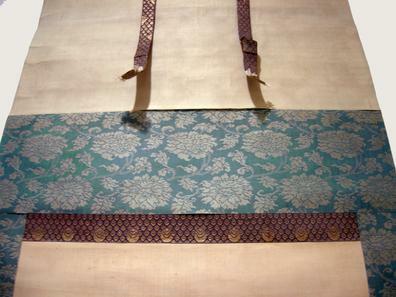 With Tassels 17 1/4 in. 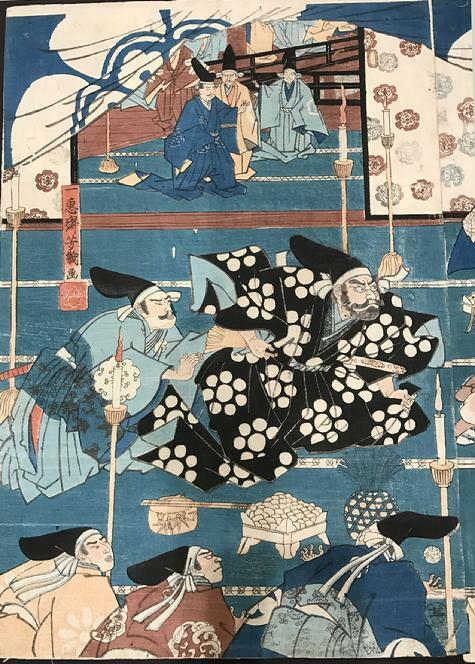 Large Antique Japanese Musha-e Hanging Scroll - Yorai (Suit-of-Armor) - Signed (Unread). 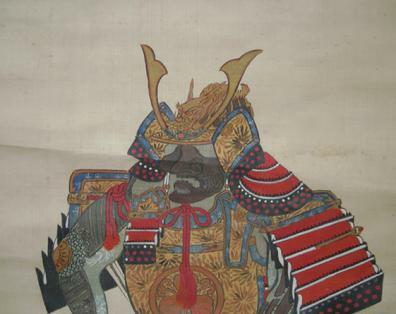 Hand-painted on silk, with a floral silk mounting, the imposing suit is realistically rendered and handsomely displayed on its armor box and is shown turned slightly to the side. 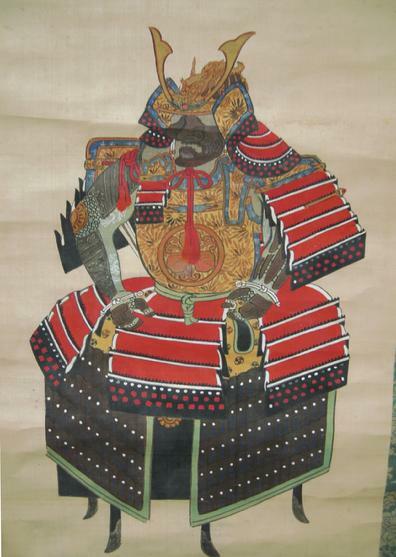 The Kabuto with horn-like attachments, and maedate is the form of a fierce dragon climbing over the bowl of the helmet. 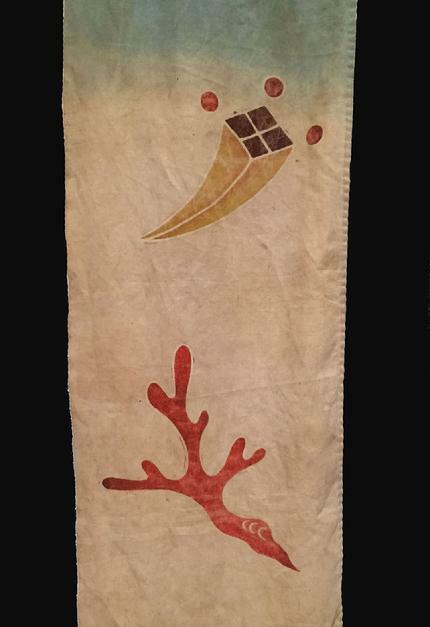 The menacing menpo (mask) features a wide-open mouth with teeth and a tuft of hair on the chin. Condition: Very Good as would be commensurate with age; some wrinkling and light soil, present. 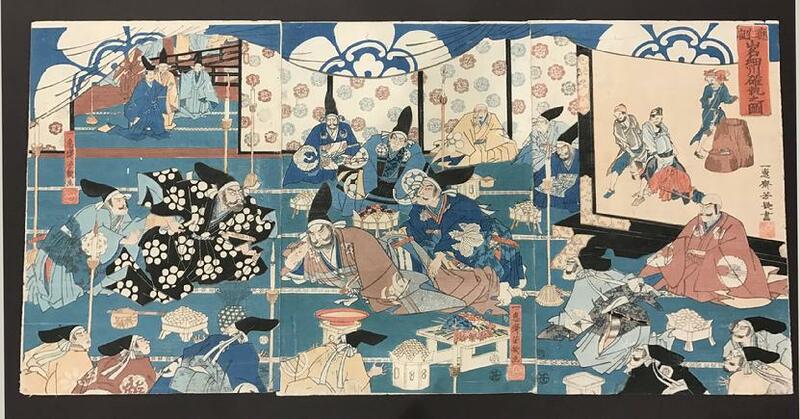 Antique Japanese Woodblock Print Triptych - Oban tate-e -1860 - Yoshiiku - Family Feud - Warlord gathering of 20 men seated in a tent, a large screen decorated allover with 'China Flowers' (karabana), the tent in each sheet decorated with a large china flower. 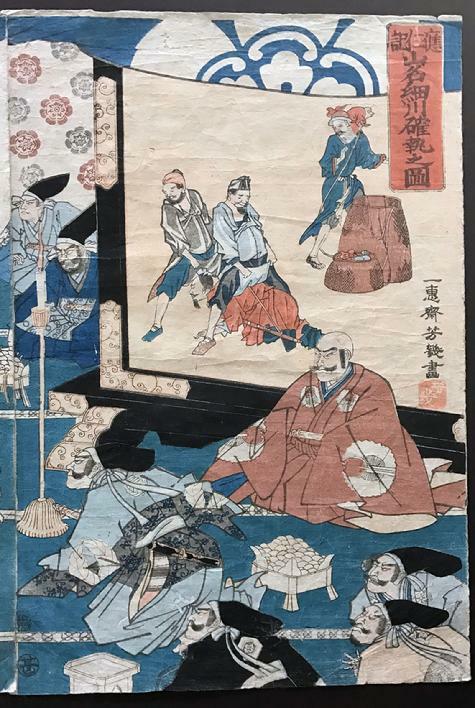 A disagreement insuing between Yamana Sozen and his son-in-law, Hosukawa Katsumo over their backing for rival successors to the Shogun, Ashi-Kaga Yoshimas. The right panel with a standing screen. 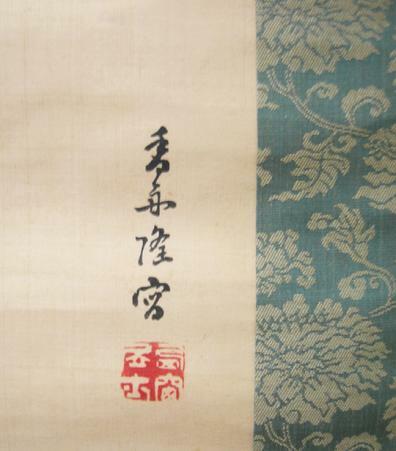 All sheets signed Ikkeisei Yoshiiku; left and right sheets with red seal: Yoshiiku; middle sheet with red Kiri seal; Publisher: Maruoi-ya Jimpachi, (all sheets); Aratame Date Seal: 1860 (5) (all sheets); Good impression. Condition: Very good as would be commensurate with age; Excellent color, excellent bleedthrough; not attached; the right panel with a couple of pieces of old tape, one over a teeny hole on the back of the 'title', and the other maybe from having been previously laid down. 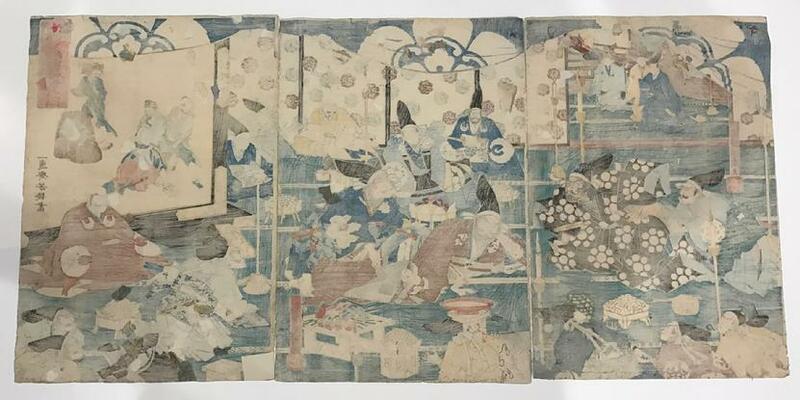 It's a wonderful triptych with an interesting subject and will display beautifully. Print: 29 1/4 in x 14 1/2 in. 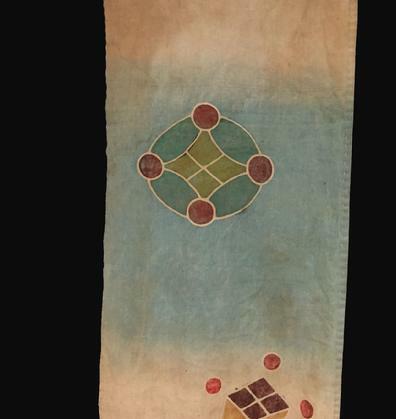 Antique Japanese E-Nobori (Hand-Painted Banner), Meiji Period, decorated in the tsutsugaki (paste-resist method) with a Nine Planet Family Crest ( Hoshi ) or Stars, and ‘precious symbols - ‘takaramono’, the Japanese adaptation of the ‘Eight Treasures, associated with the ‘takarabune’, the Japanese Treasure Ship and a large branch of coral, on a white fading to blue ground. Condition: Very good as would be commensurate with age and use; some soil present. 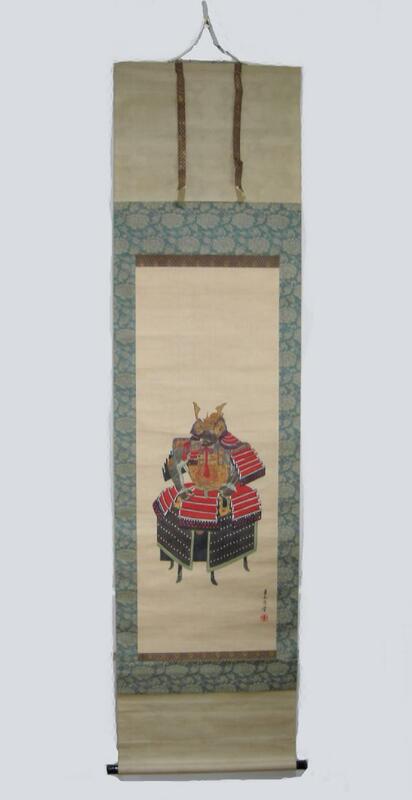 A great and unusual addition to your Japanese Collection.